Minor injuries are common during the winter. For Northerners who deal with snow and ice for three to five months of the year, the occasional winter slip and fall is part of life. Of course, in the south, snow and ice is far less common. Unfortunately, that often means we’re totally unprepared for the hazards of freezing weather. Without sidewalk salt, proper footwear, and experience navigating icy roads, slips, trips, and falls can cause serious injuries. Whether you’re driving or simply walking down the road, winter slips and accidents can strike at any time. 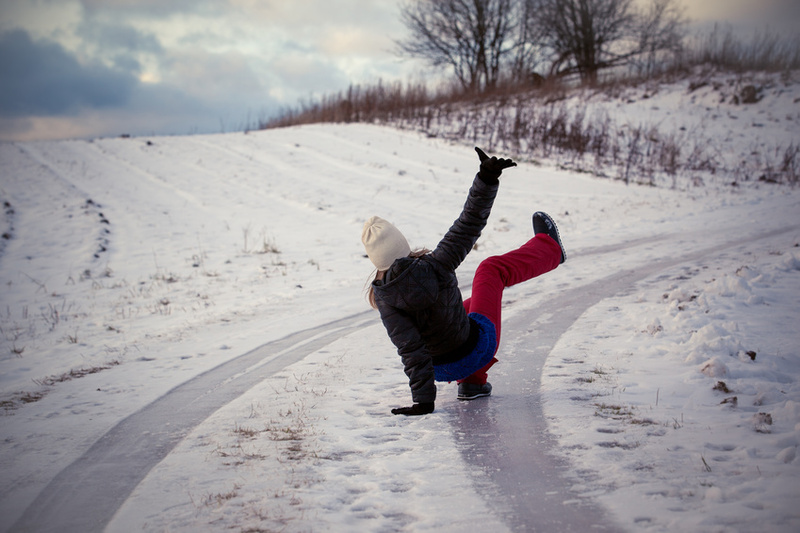 Here are some of the best ways to avoid sustaining minor injuries this winter. Even though you’re on your way to your company’s holiday party, it doesn’t mean you should traverse icy terrain in a pair of heels or loafers. Whenever there’s a possibility of snow or ice in the forecast, try to wear boots with plenty of grip. If you must, remember to bring your formal shoes in a separate bag to prevent tracking in water wherever you go. Walking with your hands in your pockets means you won’t be able to catch yourself during a slip and fall. If you’ve been thinking about investing in that nice pair of leather gloves, don’t hesitate. Otherwise, you might find yourself in a walk in clinic with a broken ankle. Luckily, it’s estimated that four in five urgent care center offer care for fractures. It might seem strange to wear sunglasses in the winter, but road glare can be a serious hazard that can lead to both major and minor injuries. Keep a pair of sunglasses in your car and in your pocket to avoid being blinded by the glare on your morning commute. Walking down steps can be particularly hazardous in the winter. Inside, you might lose your footing because of a puddle. Outside, you might face stairs coated in ice or water. Some stairs are even susceptible to fracturing under the stress of the cold. Whenever there’s a handrail available, be sure to use it. This will help you catch yourself in the event of a fall and remind you to take the stairs a little more slowly. Minor injuries are common in the winter, but urgent care centers are here for you. If you’ve been injured in the first frost, don’t hesitate to visit the best urgent care Houston has to offer: Convenient Urgent Care.